An India Pale Lager. 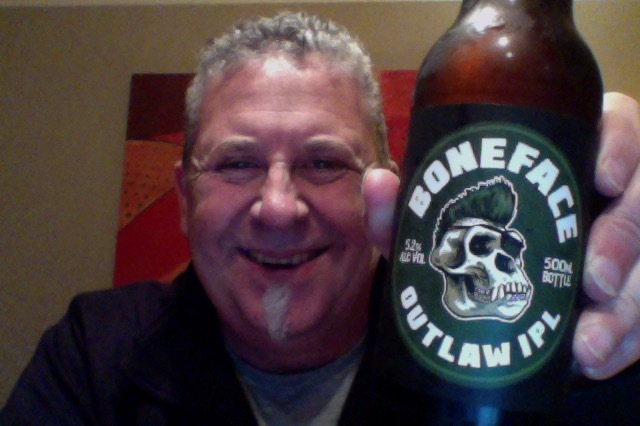 Boneface Outlaw IPL. That’s a hopped up lager isn’t it. I’ve had some in the past and I thought they were alright. Also this is a new brewer and it’s good to support new ventures. Outlaw is not your typical Lager, it is an India Pale Lager hopped up like a mofo! with a huge amount of hops added to this brew to give a hoppy yet clean beer. With loads of late fermentation additions and notes of tropical fruit, you’ll soon taste why, like any Outlaw it is most wanted! Lots of tropical fruit flavours with passionfruit dominating, a crisp clean malt base and a lingering bitter finish. Lovely fresh green wet hop aroma on opening, never gets boring of that aroma. Pour is a really pale yellow beer, but it delivers up a full head of shite cloud substance and form. 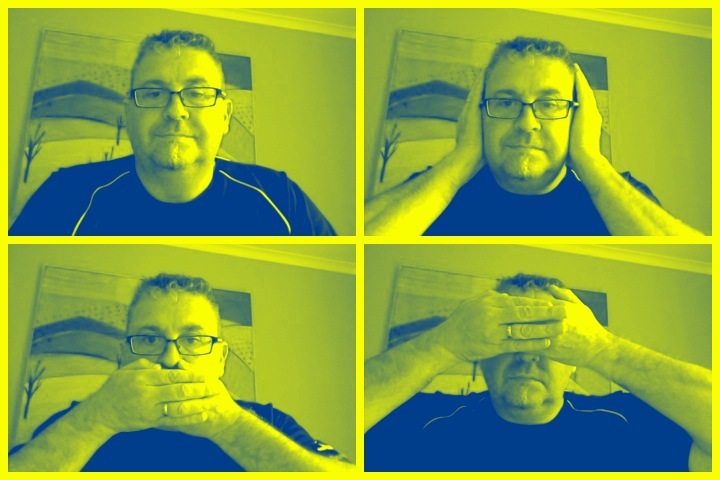 Persistent too. Aroma is to form of a lager. That’s a rocking taste, delicious is an instant opinion. Fresh, crisp, lovely mouth feel, flavours swirling around an a kick bite at the end on the tongue. Proper that is. I’ll just restate that though. Get in! This is seriously nice beer, the light aroma does not indicate what comes next, which is a full noise and party hop dance with a lovely oily hop oil mouthfeel, and a kick bite at the end. Tropicals and fruits getting their thing on. It’s always nice to find beer that really resonates with you and your expectations are met, mostly. This is a beer that I really didn’t think was going to be as good as it is, and I’m blown away by just how good it is and that makes me anxious of the other beers that they have that are in my fridge. The pdubyah-o-meter rates this as 9 of its things from the thing. Outstanding bitter, hoppy, fruity oily goodness in a bottle, just the right amount of everything and everything in it’s place. Poetry almost. It’ hard to fault a beer like this, honest it is. Where did I get it? Fine Wine Delivery Company have them. Would I share with a friend on a porch and set the world to rights? Yes, this is a beer that you’d have to like I recon, it has familiar lager things and then abundance of other familiar tastes in unusual places that just fit. It’s just good beer. 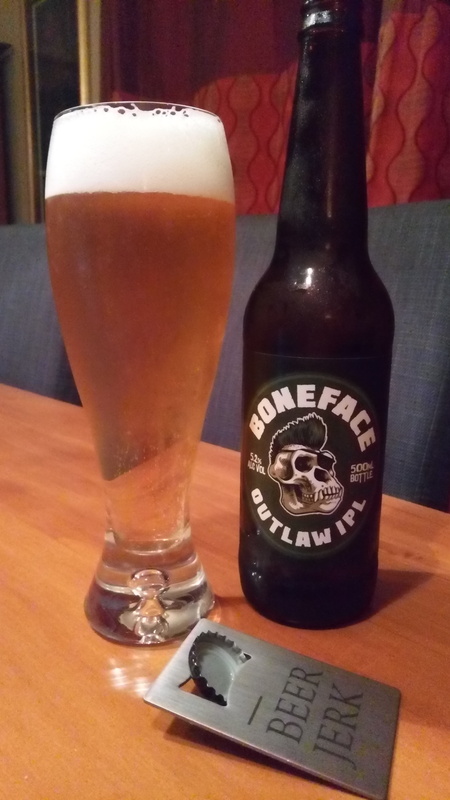 This entry was posted on May 27, 2017 by Philip Walter in Beer, Beer of New Zealand, Beer Review, BoneFace, Brewed By, Craft Beer, Critic, Premium Lager and tagged Alcohol by volume, Beer, BoneFace, Boneface Outlaw India Pale Lager, Boneface Outlaw IPL, craft beer, Wellington.